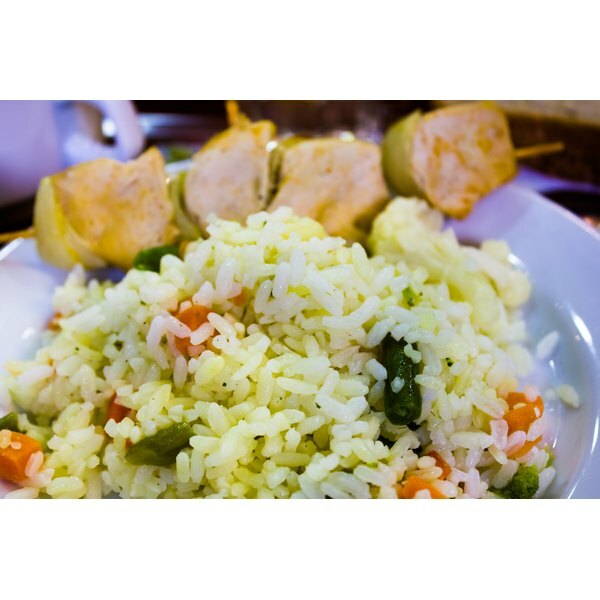 Steamed rice with vegetables and dumplings. 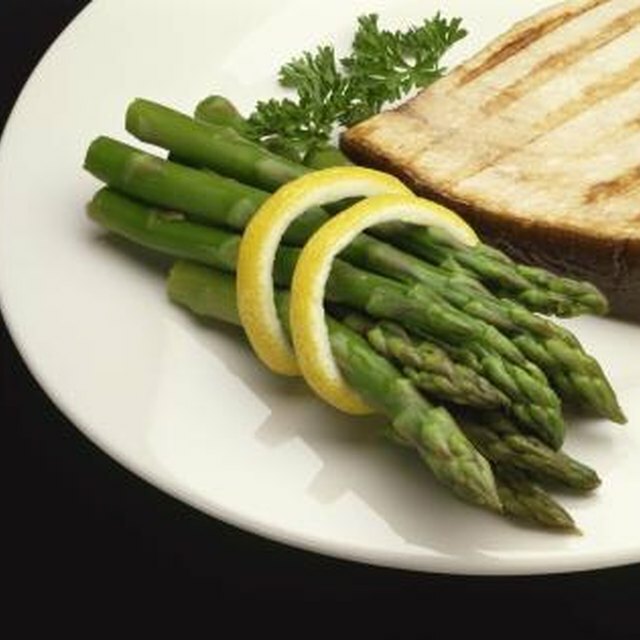 A steamed vegetable diet is one of the components in the South Beach Diet program. According to the originator Dr. Arthur Agatston, the South Beach Diet is a flexible and effective plan that helps eliminate cravings and produces long-term weight loss by emphasizing steamed vegetables, high-quality protein, complex carbohydrates and healthy fats. Steamed vegetables are low in calories, cholesterol and fat. They supply vitamins, minerals, fiber and antioxidants to your diet. Steaming is a quick and simple way to prepare your vegetables. According to Agatston, steaming is healthier than other preparation methods because it retains more nutrients. The process also enhances the flavor of your vegetables. To prepare your vegetables, wash them thoroughly before cutting into bite-size pieces. Bring about 1 to 2 inches of water to a boil, place a steaming basket inside the pot, add your vegetables and cover. Cook the vegetables until tender. To microwave, place vegetables in a shallow bowl covered with about 1 inch of water. Cover the bowl with plastic wrap, and fold a small corner up to allow for ventilation. Microwave on high for four to eight minutes until you reach the desired tenderness. Avoid adding salt, butter, cheese, creams and other high-calorie dressings. Season your vegetables with herbs and spices to avoid adding extra calories and fat. There are many vegetables you can use during your steamed vegetables diet. Leafy vegetables include spinach, salad greens, collards and kale. All leaves contain lots of water and very few carbohydrates. Leafy vegetables are good sources of beta-carotene, vitamin C and iron. Flowers, buds or stalks range from celery, broccoli and cauliflower to asparagus and artichokes. These plants are rich in calcium, potassium, and dietary fiber. The seeds and pods group include snap beans, lima beans, peas and corn. They have more protein and carbohydrates than other vegetables. Roots and tubers include onions, turnips, potatoes, beets and carrots, but they have a high starch content and thus are higher in calories. Fruit vegetables such as eggplants, squashes, peppers and tomatoes tend to be higher in vitamin C.
Fiber is a compound found in plant foods such as vegetables. You body does not digest it or use it as energy, so it contains no calories. Consuming vegetables that are high in fiber with an adequate amount of water is an effective way of treating constipation. In “The South Beach Diet,” Agatston claims that a high-fiber diet might decrease your risk for heart disease, diverticulosis, diabetes, obesity, breast and colon cancer. Cruciferous vegetables such as broccoli, cabbage, Brussels sprouts, kale collard, and mustard greens contain nitrogen compounds called indoles. According to the University of California at Berkeley, indoles appear to be effective in protecting against cancers of the stomach and large intestines. At the same time, antioxidant nutrients such as Vitamin C in cruciferous vegetables help fight against cancer-promoting molecules called free radicals. The residues of pesticides, herbicides and other chemicals are found on the vegetables you eat. According to the Reader’s Digest Association, these toxins might increase your risk of tumors, heart disease and colon cancer. Waxing vegetables before sending them to market seals in pesticide and fungicide residues. Wash vegetables very carefully, and peel vegetables with wax coatings. Vegetables that are commonly waxed include cucumbers, squashes, potatoes, tomatoes, peppers and beets. To avoid chemical residue, purchase organic vegetables as much as possible. Yasser Bailey resides in Austin and began writing articles in 2003. Her articles have been published in the University of Texas campus newspaper and "Self" magazine. She received her Bachelor of Arts in business and government from the University of Texas at Austin. Bailey also just completed her Master of Arts in educational leadership from the University of Texas at Arlington. How Long Does It Take to Steam a Yam? Can You Freeze Uncooked White Potatoes?